Campaign Refinery customers can automatically add customers to an email list (optional tag them). Step 2: In PayKickstart, click the top right navigation, Integrations >> Email, then Add Integration. 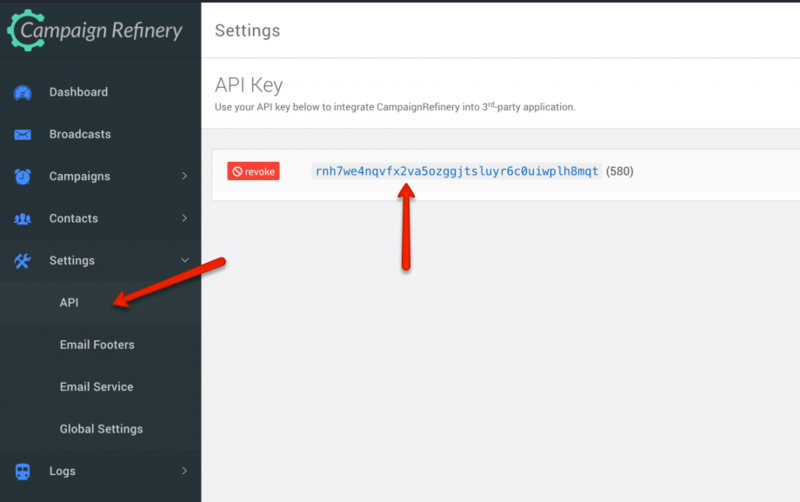 Step 3: Select Campaign Refinery and add the API Key provided. Step 4: Once you’ve connected, you’ll need to go to ‘Campaigns’ on the left sidebar of your dashboard. Here, you’ll see your campaigns listed. Choose the campaign that you want to integrateCampaign Refinery with. 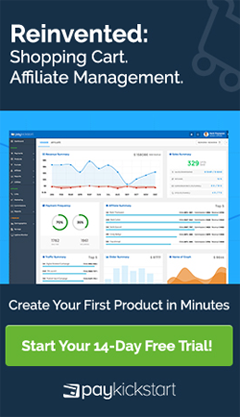 Step 5: Once you have located the Campaign you want to work with, please select a “Product” and the “Product Settings” for the specific product you want to integrate with Aweber. Step 6: Once inside the product settings, scroll down to “Section 3: Integrations” to open up your product integrations settings. 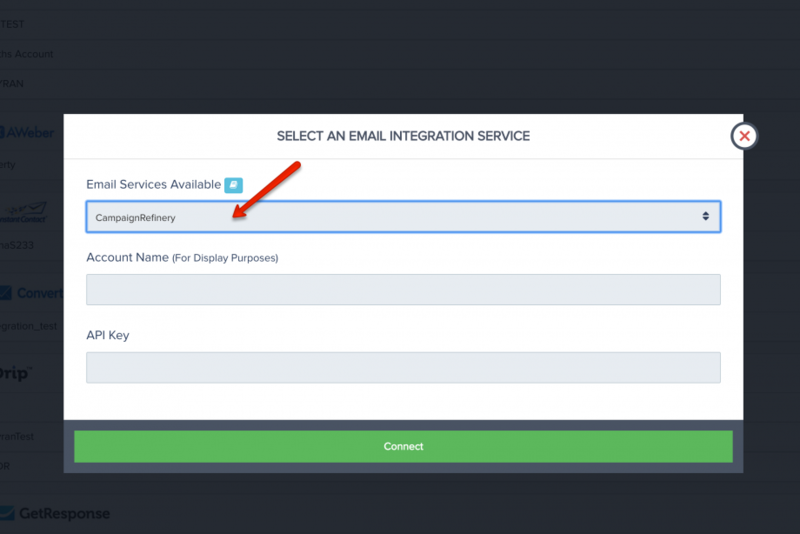 Enable “Email Integration”, then select Campaign Refinery as the Email Service, select the account you added, then select the List and optionally tag.